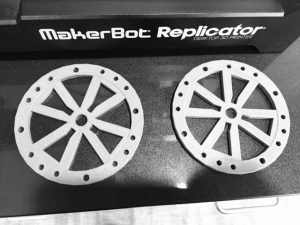 When the Makerspace movement began spreading a few years ago, I was one of those people who was under the misconception that you couldn’t call it a Makerspace if you didn’t have a 3D printer. At that point in time a 3D printer might as well have been the moon itself, and so I supposed that the whole Makerspace thing just wasn’t within my (or my students’) grasp. That might sound silly to some, but then again there are others who might be nodding heads in agreement. There can tend to be a vibe that if you don’t have the high-tech stuff like a 3D printer or robotics kits, then you can’t call it a Makerspace. 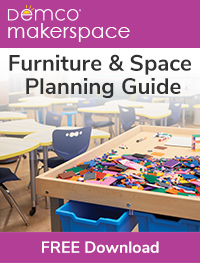 Obviously, I’ve learned a lot in the last several years that has stretched my view of what constitutes a Makerspace. I have learned that with Makerspaces, it’s all about the process and not the product. I have learned that with Makerspaces, it’s more likely to be student-led exploration as opposed to teacher-led instruction. I have learned that all you need to be able to call it a Makerspace is kids and stuff. 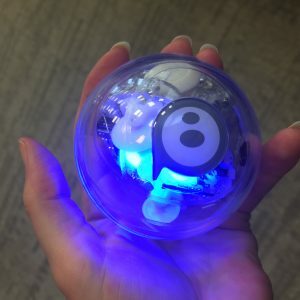 High-tech stuff, low-tech stuff, origami paper, duct tape, cotton balls, rubber bands, straws, Chromebooks, iPads, Legos, Sphero, and yes…even a 3D printer. 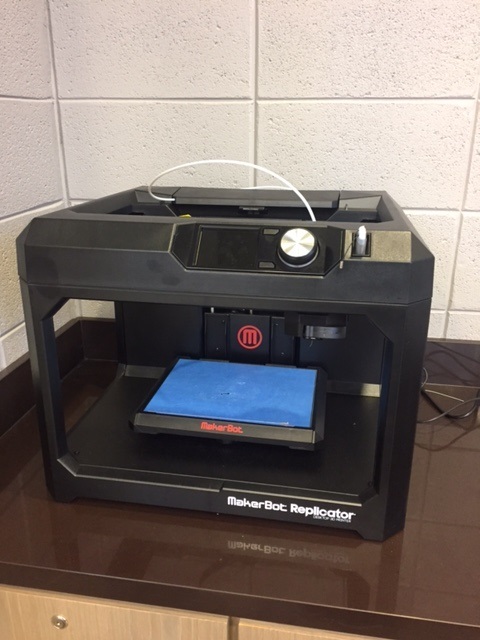 Our library at Helena High School recently received a 3D printer and we were delighted that it was placed in the library. I was a little nervous about it, but nervous in the how does this thing even work and what can we do with it? way of being nervous. 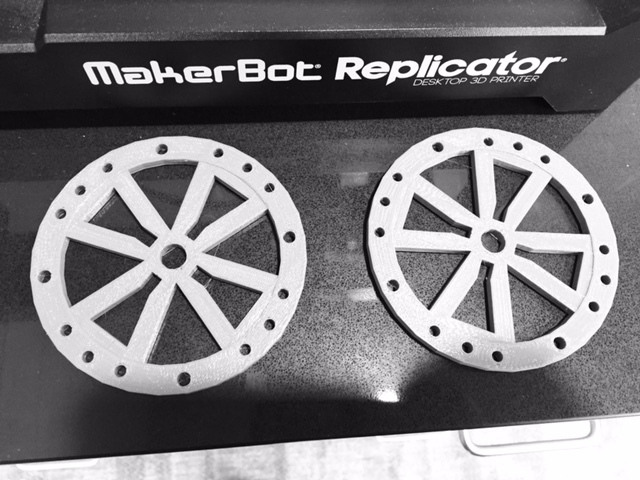 We got it out of the box, figured out how to load the filament, and took off – pedal to the 3D printer metal. We have had it about a week now and are still well into the exploratory phase. We’ve test printed a chain link, a few bracelets, an octopus, some chess pieces, some keychains, and a shark. Our next goal will be to print some accessories for our Sphero robot…perhaps some bowling pins, traffic cones, a ramp, or even a chariot! Today we fille d our very first student design request, which was a set of wheels they are using for a robot. That was a pretty neat experience – watching the students tinker with their design in order to maximize the functionality and minimize the amount they would have to pay. 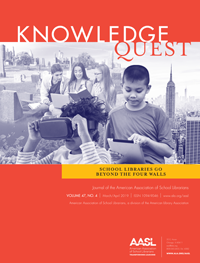 Through experimentation, the students were able to select a design that met their needs. I loved seeing them work through this from scratch! That is the heart of the “maker” movement: solving real-world problems with your own personal talents, knowledge, and good old-fashioned ingenuity. Users can either print an original design or they can use open source designs others have shared on Tinkercad or Thingiverse. For our Makerbot Replicator, the object must be in a .stl or .obj format. There are multiple softwares you have to use to print something. 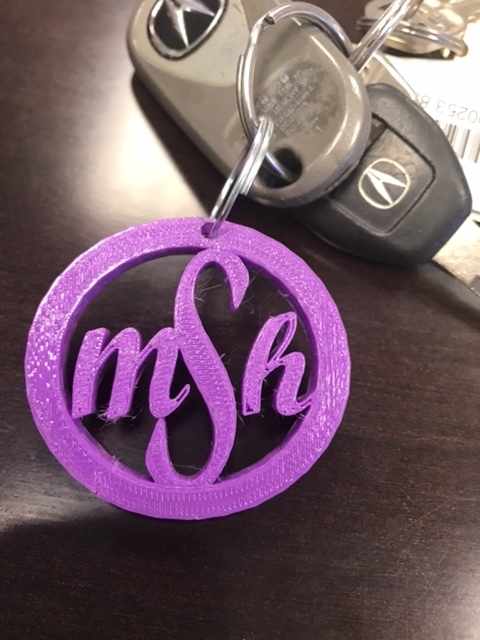 We have found that we direct students to create or find a design they like, then we download the file and convert (or “prepare”) it in the Makerbot software. 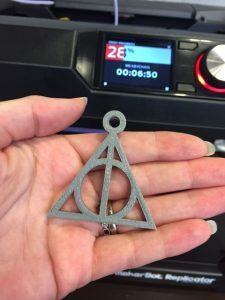 If you’re going to manage a 3D printer in the school library, you’re going to have to come up with a way to manage student requests. 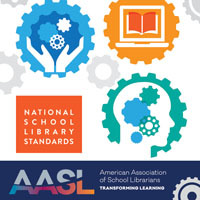 We leaned on the experience of and advice from our librarian friend Nikki Robertson at James Clemens High School to employ the use of a Google form to accept and process through student print requests. Finally, we also had to determine a fair and appropriate amount to charge our kids when they want to print something. 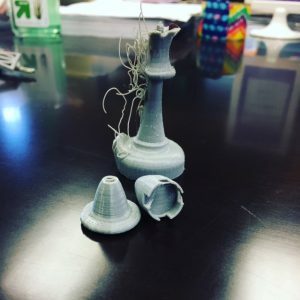 We wanted to make the printer as accessible as possible to students while also balancing that with our goal to purchase more filament in the months to come. We felt it was important to communicate to them that as a consumable resource, this is something for which they will have to pay the small fee of .50 per gram. 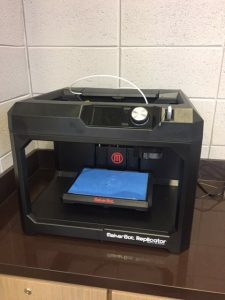 While by no means will a 3D printer make or break your library Makerspace, it has certainly been a valuable addition to ours at Helena High School. 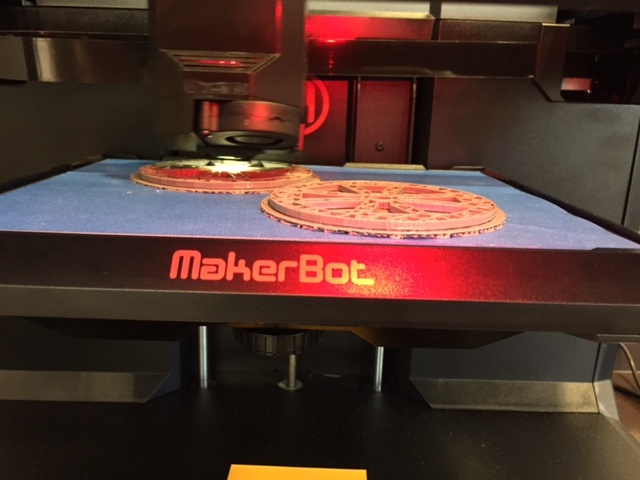 Once we figured out the basics of the machine (with a lot of help from students), we have become even more excited to use it for a multitude of purposes. We are grateful to have it, and intend to use it well. Here are a few pics of items we have printed. Some print jobs have turned out beautifully, while others were more of a learning experience! 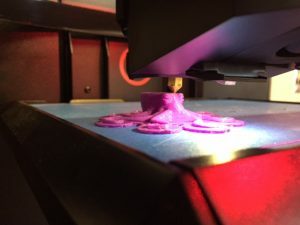 Great tips for getting started with 3D printers. What I really like about using 3D printers is how it allows you to do organic work and be however creative you want to be. Thanks for sharing!